We asked New York’s most recent full term governor, George Pataki, for his thoughts on the rapidly deteriorating relationship between current New York Governor Andrew Cuomo and New York City Mayor Bill de Blasio. 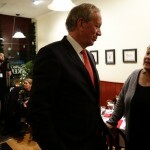 Pataki has generally avoided criticizing Cuomo and has, in other circumstances, offered harsh criticisms of de Blasio. 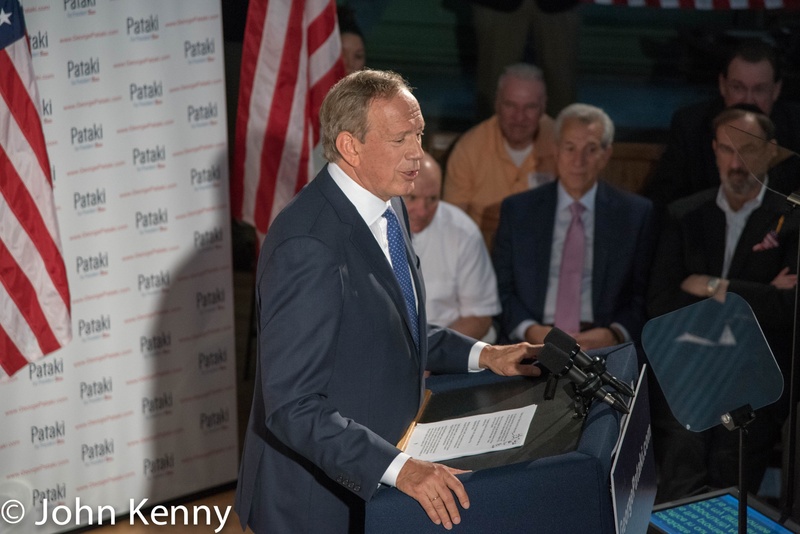 We spoke at the conclusion of a Pataki presidential campaign rally in Peekskill. 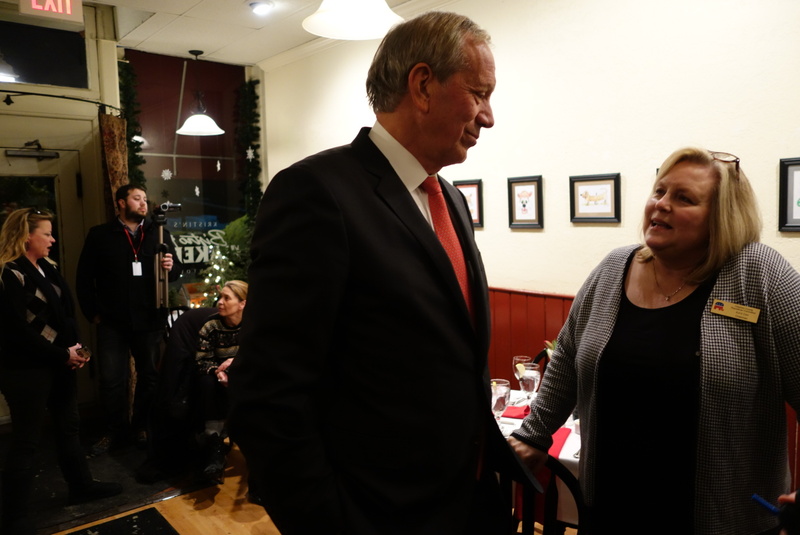 Former New York governor George Pataki launched his presidential campaign Thursday in Exeter, New Hampshire. 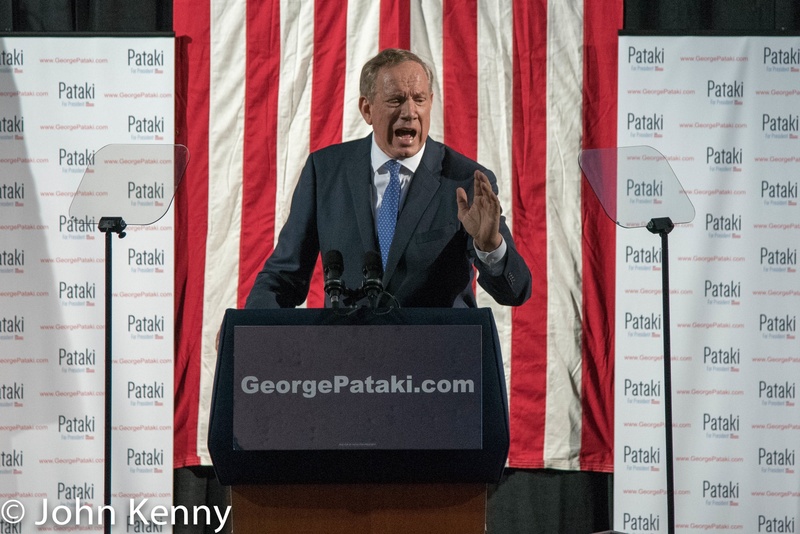 Pataki, who’s been campaigning for months under the guise of a super Pac, joined the growing list of declared Republican candidates with a speech to about 200 supporters in Exeter’s Town Hall. Abraham Lincoln is among the many politicians previously appearing at the 160 year old Town Hall. 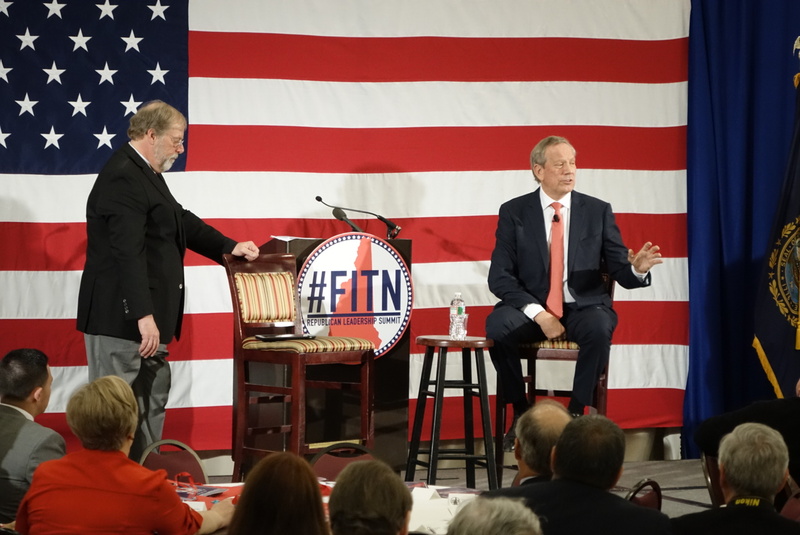 George Pataki in New Hampshire. Eyyye rolll. 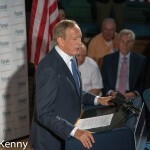 George Pataki running for president. 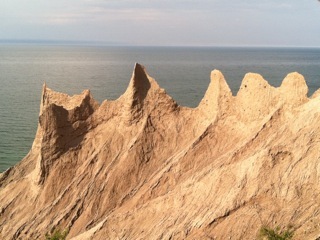 Of the United States. Eyyyyye rolllll. 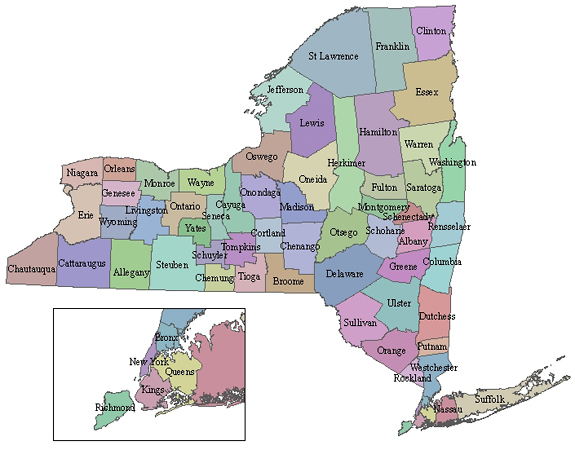 You’re not the only one – it’s a common New York reaction as former governor George Pataki moves toward formally announcing his presidential candidacy tomorrow. 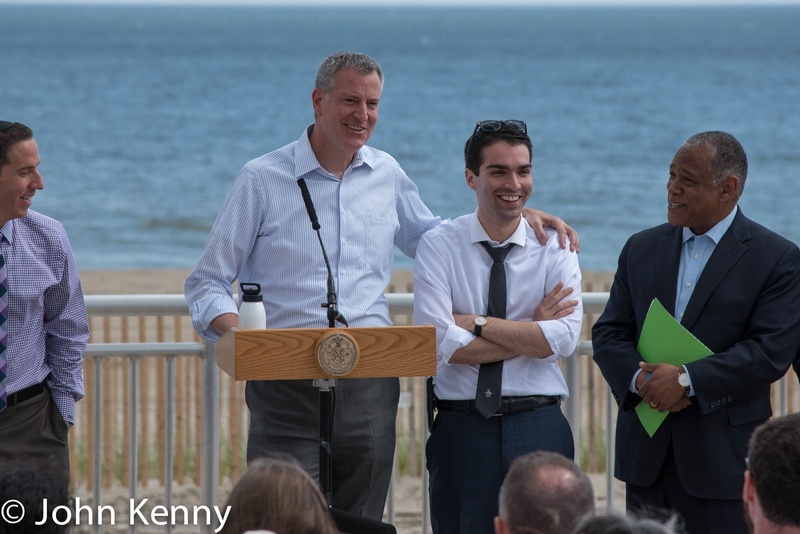 Mayor Bill de Blasio visited Rockaway Friday afternoon, joining the annual beach opening celebration and holding a press conference. 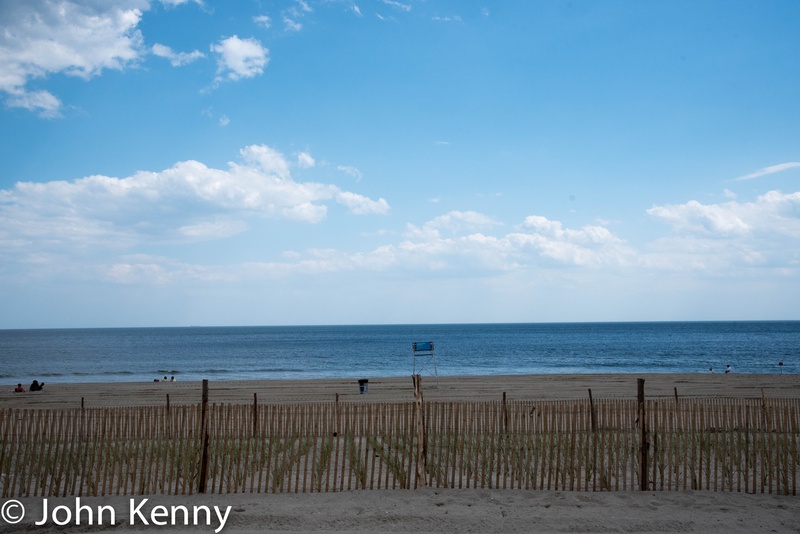 During his visit de Blasio announced that any surplus federal funding from the ongoing boardwalk rebuilding will be applied to other Rockaway projects. 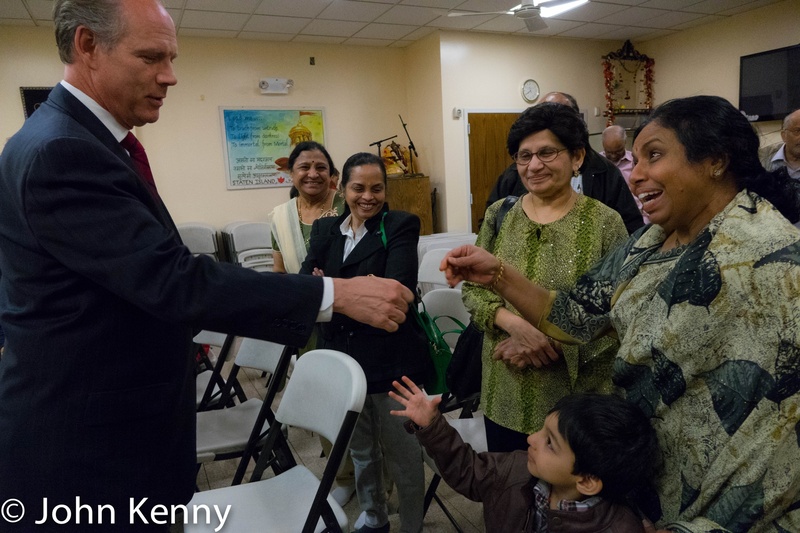 de Blasio was well-received, with elected officials offering praise and attendees providing applause. 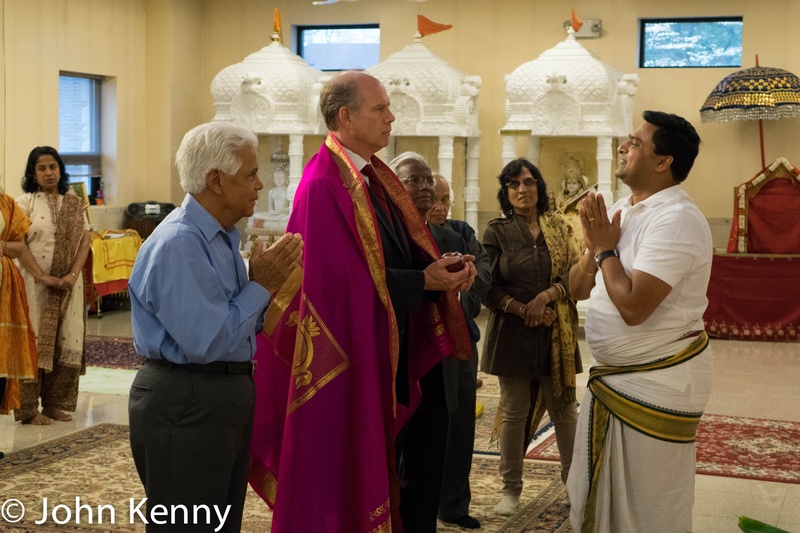 Elected officials joining de Blasio included Senators Joe Addabbo and James Sanders, Assembly Members Phil Goldfeder and Michele Titus, Queens Borough President Melinda Katz and Council Members Donovan Richards and Eric Ulrich. 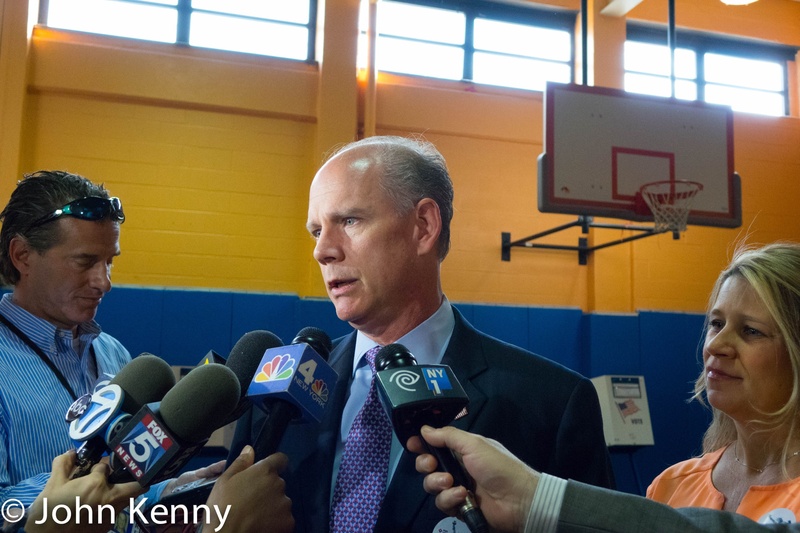 Parks Commissioner Mitchell Silver and EDC President Kyle Kimball also joined de Blasio. 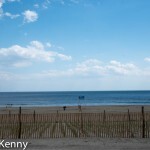 Our photo gallery is here. Out of sight, out of mind. 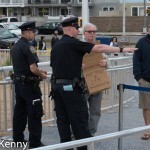 That notion applied to the few sign-holding Rockaway residents who appeared at Mayor de Blasio’s boardwalk press conference on Friday. The four I spotted were relegated to a “free speech zone” invisible to Mayor de Blasio and most of the several hundred people in attendance. 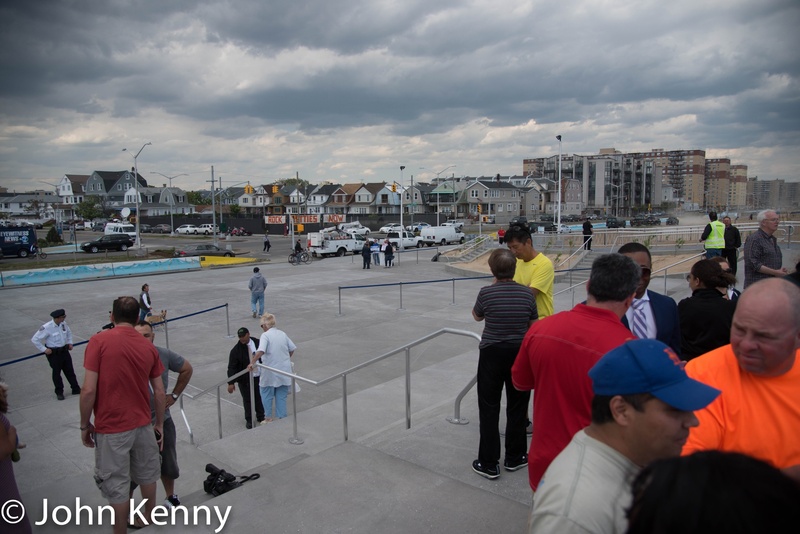 In this view from the camera riser, looking away from the lectern on the boardwalk where Mayor de Blasio spoke, the “free speech zone” is faintly visible deep in the center of the picture and close to the white trucks on Shore Front Parkway. The “free speech zone” is also about 10-15 feet lower than the boardwalk, ensuring that the Mayor and other speakers could not see the “free speech zone”, much less the signs. 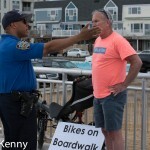 Police directed sign-holders to the “free speech zone,” despite objections. Is A Vote For Lane A Vote For Donovan? 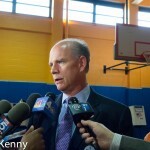 With Dan Donovan widely regarded as likely to win the 11th Congressional District special election tomorrow, supporters of Democrat Vincent Gentile fear that each vote for Green Party candidate James Lane is a lost, and wasted, potential Gentile vote. Here’s Lane’s view of that notion. 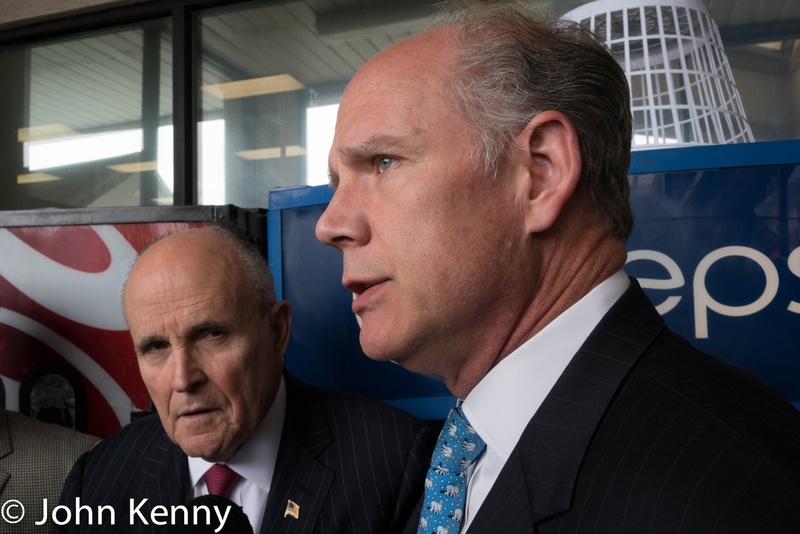 We spoke as Lane campaigned outside the Whitehall ferry terminal.